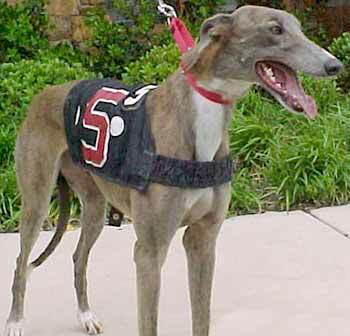 Moonshine, aka Bobbye's TNT, is an almost 3-year-old female blue-fawn brindle with white feet, born August 24, 1999. She is a petite girl, with a happy friendly personality--she has a lot of spirit packed into that little body. 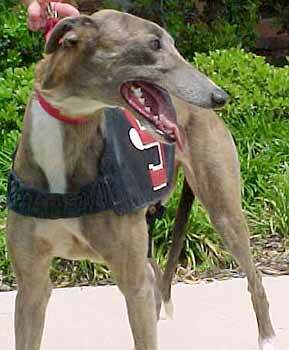 Moonshine has been off the track just a few weeks, and is looking for her retirement home.